With deep sadness and immense sorrow, the Tracz family announces the sudden peaceful passing of Orysia Paszczak Tracz on November 10, 2016. Through this sadness, we, along with her friends, celebrate the life of a remarkable, thoughtful, and caring woman. Following the Second World War and her family’s escape to the West, Orysia was born in a displaced person’s camp in Berchtesgaden, Bavaria, was raised in New Jersey, and made her family home in Winnipeg - but her heart was in her beloved Ukraine. At Soyuzivka, a Ukrainian resort in upstate New York, Orysia met her husband Myroslaw. They married in 1967. Arriving in Winnipeg in 1968, Orysia and Myroslaw found a city where they were able to raise their children in a community that embraced Ukrainian culture. Her gifts to us are the stories, songs, rituals, and traditions which she shared with us. 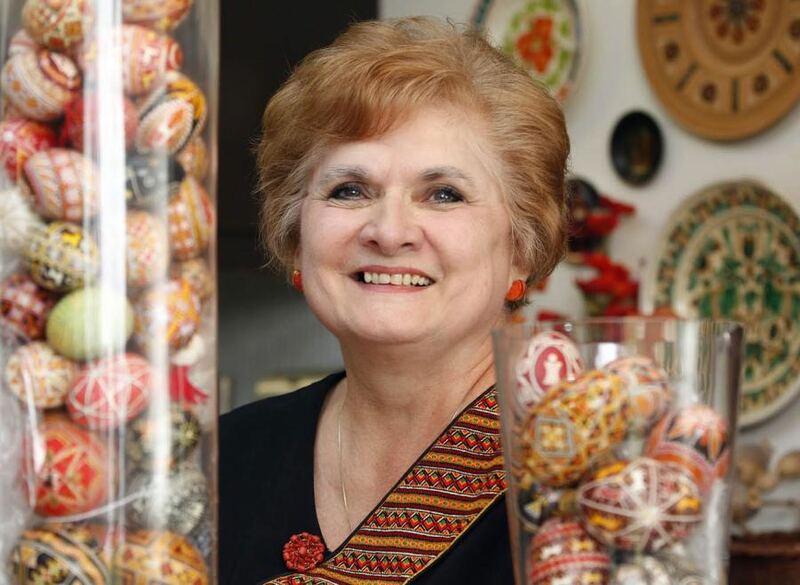 She is known to all as a treasure of the Ukrainian community, giving selflessly of her time, knowledge and incredible curiosity for researching the “back story”. She enriched the lives of so many. Her legacy is her family, who embraced her strength, her kindness, and her love of others and all things Ukrainian. She is survived by her husband Myroslaw; her three sons Boyan, Dobryan, and Ruslan; her sister Nusia Denysyk (Oleh); nephew Ruslan (Kristin); nieces Dara (Will) and Lana (Mike); and grand nieces Clara and Evelyn. She follows her parents, Sofia Mazepa and Wasyl, and her elder sister Lesia into eternal memory. The Tracz family would like to thank and recognize the compassionate staff at the Heath Science Centre who made Orysia’s final hours comfortable and who provided support to the family. A prayer service will be held at Holy Eucharist Parish, 505 Watt St., at 6pm, on Monday, November 14, 2016. It was Orysia’s wish that all participants wear Vyshyvanky (Ukrainian Embroidered Shirts). Any donations, in lieu of flowers, are requested to be made to the Canadian Ukrainian Foundation of Taras Shevchenko (https://shevchenkofoundation.com/). Її мудрість, сила, знання і навчення про все українське завжди будуть з нами.